Dover District Council, in partnership with the Port of Dover and a number of local land and property owners, have appointed Baca Architects, with an expert consultant team, to develop a planning and regeneration framework for the wider Dover Waterfront area. Baca Architects are lead designer for the overall masterplan and are working in collaboration with the Olympic Park design team at LDA, who are leading the route corridor studies. 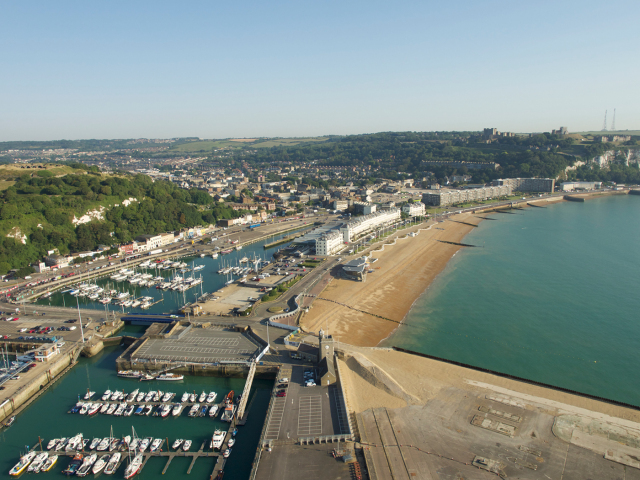 A core objective is to improve the connections and the public realm from Dover Waterfront to the Maison Dieu (Dover Town Hall) and Dover Priory railway station. Part of this strategy will be to propose solutions, which reduce the severance caused by the A20, already being enhanced by the Port Authority with junction and underpass improvements. Together with improving the existing connections, the new proposals will also enhance the connections between Dover’s main historic assets, Dover Castle and the Western Heights. The core consultant team comprises WSP Parsons Brinckerhoff, Baca Architects and LDA Design, who are supported by Bilfinger GVA and Currie & Brown.